This juicy as well as crispy corn is the ideal snack which can be made super quick and is addictive as hell! I am telling you to make a biiiig batch of this crispy corn, otherwise you will always fall short on it! 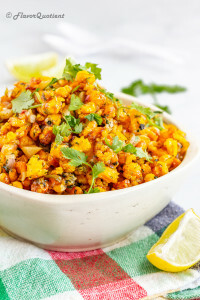 I wish I had tried this crispy corn recipe earlier, then I wouldn’t have deprived ourselves from something as delicious as this restaurant style snack for so long! This crispy corn is the ideal game day snack and can easily replace the good old popcorn which, I believe, we have had enough already! Let’s make way for this new born star and cherish it to our hearts’ content! Corn is mostly loved by all but is eaten differently in different parts of the world. In India, roasted corn is very popular where a corn on the cob is roasted in open flame after removing its husk and skin. It’s then seasoned with salt, pepper & lemon and a delicious snack is ready without much fuss which is very heathy too! in recent times, American style sweet corn is gaining much popularity which is nicely flavored with butter and some seasonings. 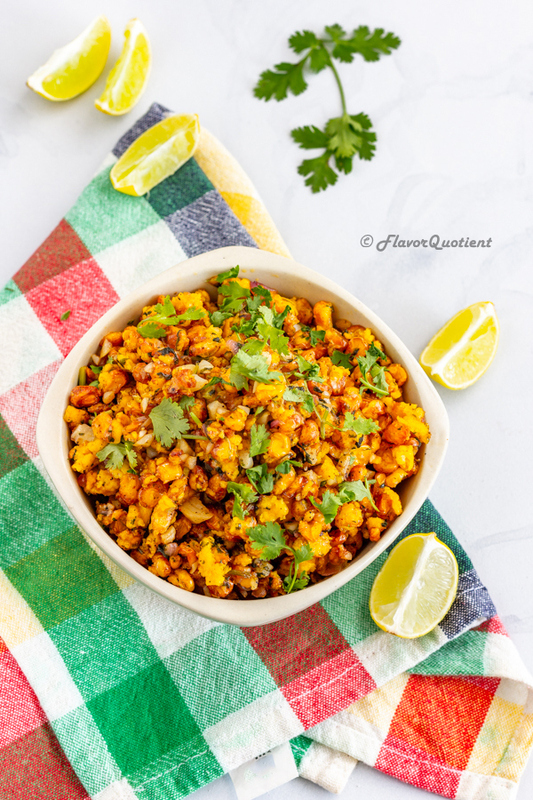 My crispy corn is very different from both of the above and it has the mind-blowing Indian sizzle to it which takes it to a different level altogether! 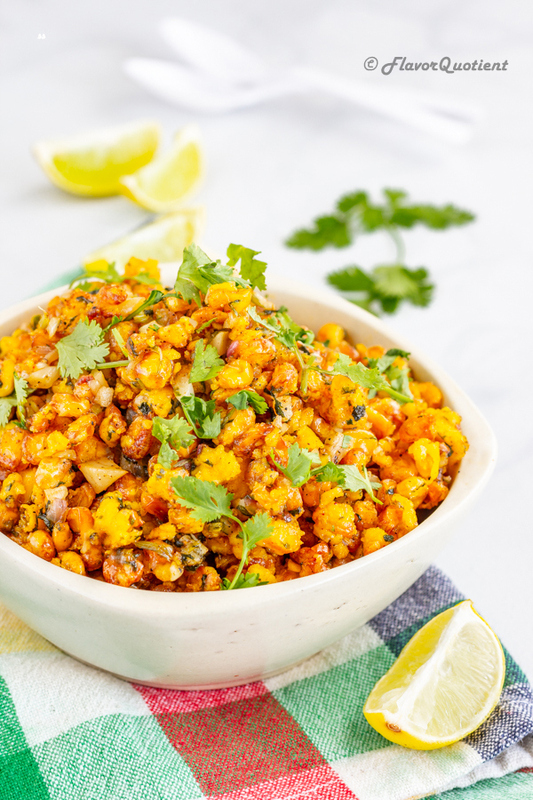 I have shared my tried and tested tips and tricks below so that you guys can also make this delicious crispy corn at home and surprise your guests with the humble corn which takes on such a great makeover! While I was making this crispy corn for the very first time, my better half wasn’t very hopeful with it as he wasn’t too fond of corn and didn’t have the idea that something as tasty as this can be prepared with the boring (to him!) corn! But as soon as he tasted it, it completely converted him to a corn lover! Trust me, now my freezer is always loaded with frozen corn kernels! 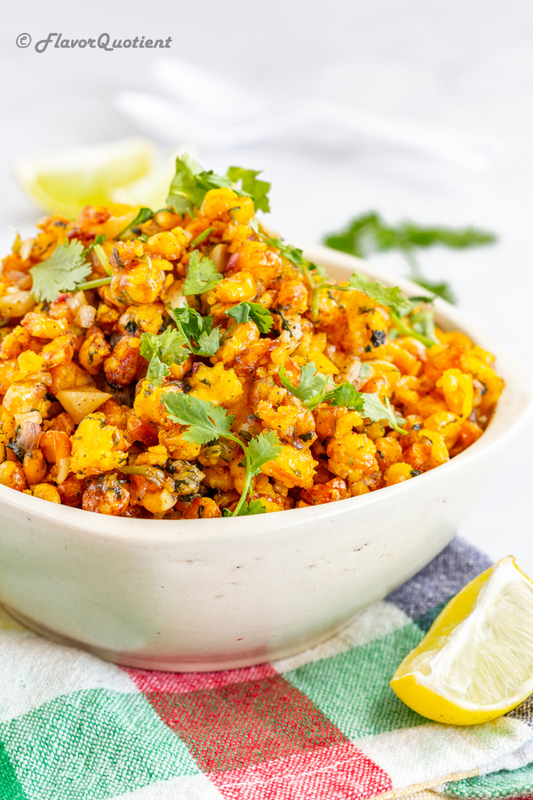 The advantage of this recipe of crispy corn is that it can be made with frozen as well as fresh corn. I personally prefer to buy fresh corn on the cob, then remove the corn kernels from the cob and freeze them for good 4 to 5 months. Then just take out your desirable amount whenever you need it and you are good to go! 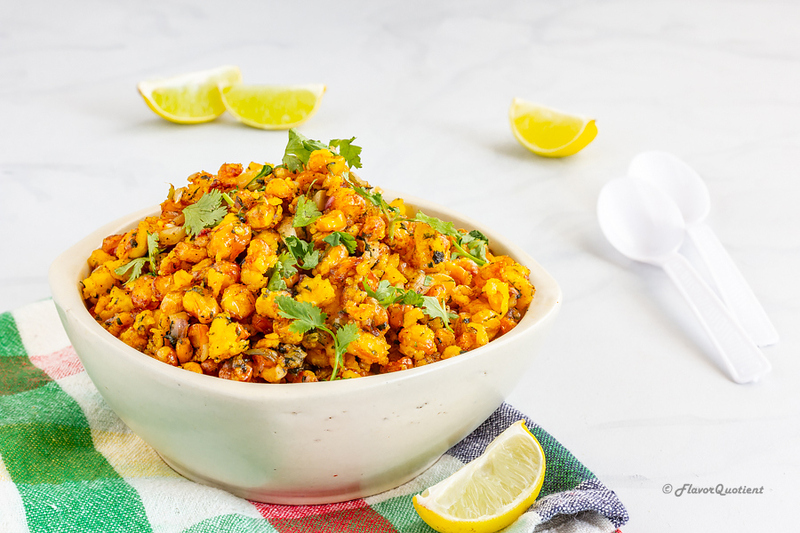 These corn kernels also come in handy when you have surprise guests as home and today’s recipe of crispy corn is a perfect savior! Now let’s talk a bit about making the crispy corn which, trust me, is very easy as well as quick. To make the perfect restaurant style crispy corn at home, you would need one essential ingredient – patience! Surprised? I know, cooking any dish perfectly requires patience, then what’s so different for this one? I will tell you. But before going into that, I must tell you that the super-crispiness of this crispy corn kernels is achieved by deep frying them after coating them in a semi-dry batter of all-purpose flour i.e. maida and corn flour/corn starch. While coating the boiled corn kernels in the mixture of dry flours, you need to squeeze the kernels too applying little pressure so that the flours stick to the kernels stiffly and do not leave them when they are dropped in hot oil. Squeezing will break the outer thin skin of the kernels and prevent them from spluttering in hot oil and also make them extra crispy. So, take your time while coating the corn nicely with flours for 3 to 4 minutes. Now it comes to frying the corn and make the fantastic crispy corn and this is exactly where you will need to have extra patience. After you add the coated corn kernels into hot oil, you need to fry them on medium-high flame until they float to the top; not all corn kernels will float to the top at the same time, some will still remain at the bottom which means they are yet to cook completely. You need to fry them until most of them float up to the top of the oil. Do not be tempted to take them out before that even though you feel like it as the corns the already boiled. Also, you will observe that once the corn kernels are completely cooked, they will feel light weight than before. If you take them out of the oil too quickly, they will not turn as crispy as they should be. One final safety tip – one or two corn kernels may splutter and jump out of hot oil while frying which may lead to skin burn; so my suggestion is to cover the pan partially while you are deep frying the corns. If you keep your attention to these few details, then nothing can stop you from making the most amazing restaurant style crispy corn right at your home! Enjoy! Boil about 5 to 6 cups of water in a sauce pan and add about 1 teaspoon of salt to it. Add the corn kernels to the boiling water and boil them for 10 minutes. Then drain out the water and place the corn in a colander for 20 minutes to let all the water drip off and the corns become somewhat dry. Now transfer the corns to a large mixing bowl. Then add about 3 tablespoons of corn flour, 1 tablespoon of all-purpose flour and 1 teaspoon of salt to it. Start mixing the flours with the corns squeezing the corn kernels while mixing which is quite important as explained in the blog post above. Squeeze and mix the corn for 2 to 3 minutes after which the corns become little lumpy and clings together. Now add remaining corn flour and all-purpose flour (you may not need all the remaining flours, just trust your gut feeling here!) and keep mixing the corns. After mixing for a minute, the lumpiness will be gone and there will be dry flours at the bottom of the mixing bowl. At this point, add the turmeric powder and a teaspoon of water. Do not add any excess water or else you will ruin the crispiness of the corns. Mix well to distribute the turmeric well; also water will help absorb the excess dry flour leaving a nice coating around each corn kernel. Now you are ready to deep fry them. Heat enough oil in a deep-frying pan for frying the corn kernels. Once the oil is hot, keeping the flame at medium, drop the corn kernels into the pan. Try to drop them one at a time so that they do not form a lump; but even if they form a lump, you can break them once they turn crispy after taking them out of the oil. Also do not add all the corns together, fry them in batches. After frying the corn on medium high heat for 3 to 4 minutes, you will notice that some of them have floated to the top and some are still at the bottom. Give them another 3 to 4 minutes and when all the corns have floated up to the top, take them out using a slotted spoon and place on a plate lined with absorbent kitchen towel to soak up excess oil. Once all the corn kernels are fried, set them aside while you make the garlicky seasoning for the corns. Heat about 2 tablespoons of oil in a wok. When the oil becomes very hot, add chopped garlic, chopped coriander leaves, chopped green chilies and chopped onion. Fry them on high for couple of minutes until they turn soft. Now season the onion garlic mixture with salt and pepper to taste. Also add a dash of vinegar and red chili sauce or any hot sauce of your choice. Keep stirring continuously keeping the flame at medium high for 2 to 3 minutes more. Once the mixture looks nicely sautéed, switch off the flame and add the crispy corns to the wok. Toss & stir the corns in the garlic-onion mixture to mix everything evenly. Check and adjust the seasoning if needed and your restaurant style crispy corn is ready to serve and devour! Enjoy!